 Rationale thrives on the support of individuals and groups who are passionate about education, social justice, youth, and locally-produced scholarship. We are always interested in working with Ugandan youth who are committed to sparking lasting change in their communities. If you are interested in collaborating on a research project or proposing your own, we are eager to hear from you. Our team in the US is based in Chicago, IL, and Durham, NC. If you are located in either of these areas and would like to get involved in the US side of our operations - or are interested in doing so remotely - please don't hesitate to contact us using the form to the right.